Istanbul is located in Turkey and now it is thought to be under the umbrella of Islam, but there is the main center of the Eastern Orthodox Church, which is the important place for Christianity. The Empire at that time, Eastern Roman Empire, adopted Christianity as the established religion in Istanbul, so that not only a lot of buildings but also many art works related to the Orthodox Church have been preserved, which attracts tourists significantly. The most famous place is the cathedral called Hagia Sophia. It is a cathedral with the somewhat strange history, which was originally built as a Christian cathedral and was later used as a Muslim mosque. Now it is a museum, where we can find many Christian arts of ancient times. 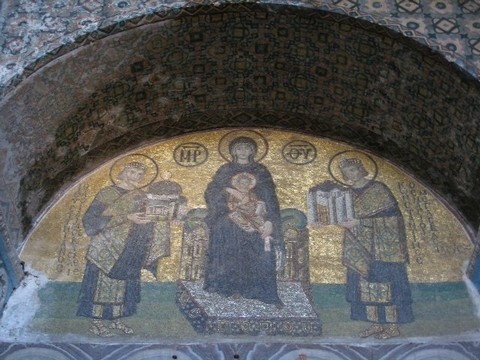 The main center of the Old Orthodox Church was Hagia Sophia, but now it is St. Georgios Cathedral. Also, the second largest place that has Christian culture after Hagia Sophia is Kariye museum. This museum, which was originally used as a church and now as a museum, is also called a hall of arts and has large mosaic pictures, which has attracted people. Istanbul was inhabited by Muslims after Christians, so it cannot be called a Christian city, but now we can still find many Christian traditions there.